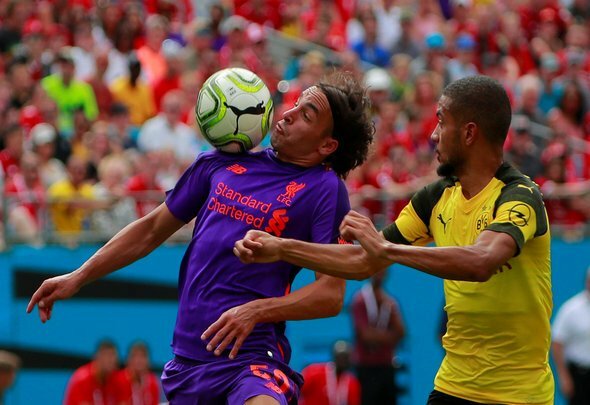 Out of favour winger Lazar Markovic finally ended his Liverpool career on Thursday as he sealed a permanent deadline day move to Fulham, as per the Reds’ official Twitter account. It certainly seems as if the club’s fans are all pretty happy with the news, with many of them toasting the genius of Liverpool sporting director Michael Edwards. You can understand their reaction. Markovic was brought in for big money under Brendan Rodgers, but it never quite worked out for him. He had a decent run of games for a time and then simply seemed to fall off the face of the earth. It’s been clear for some time that Jurgen Klopp doesn’t fancy him, and the German, reportedly on £35k-a-week, has now finally got him off the wage bill. It will be interesting to see if the Serbian can make something of himself at Craven Cottage, because he did impress in a loan spell at Hull City some years ago. If he can replicate the form he showed on Humberside then there’s no reason why he can’t rebound from his Anfield disappointment. Never thought this would happen. What a moment. One of worst transfers of all time but it was Rodgers’ fault. Not worked out ever at LFC. But all the best in the future. Edwards deserves a statue. All hail Edwards.